Foxconn, the Taiwanese manufacturer who assembles a sizable percentage of our consumer electronics, is planning to open a boatload of retail stores in China, where they'll sell the smorgasbord of gear that they assemble. What will they be selling? Oh, you know, Apple products such as the iPhone, iPod and iMac as well as stuff such as the Playstation 3, Vaio notebooks, the Kindle, Nokia phones and the Wii. 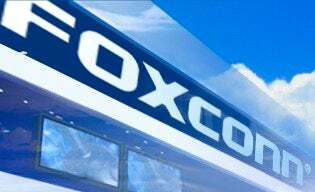 Apparently, Foxconn will use the huge retail presence in China to get even more manufacturing business. Get your gear made by Foxconn, the argument will go, and you'll automatically get a foothold in the Chinese retail market.